Twitter's Biz Stone On Starting A Revolution The co-founder of Twitter talks about how the service was used in Egypt to help organize the protests, and about the rumors that the popular microblogging service could be purchased by Google or Facebook. 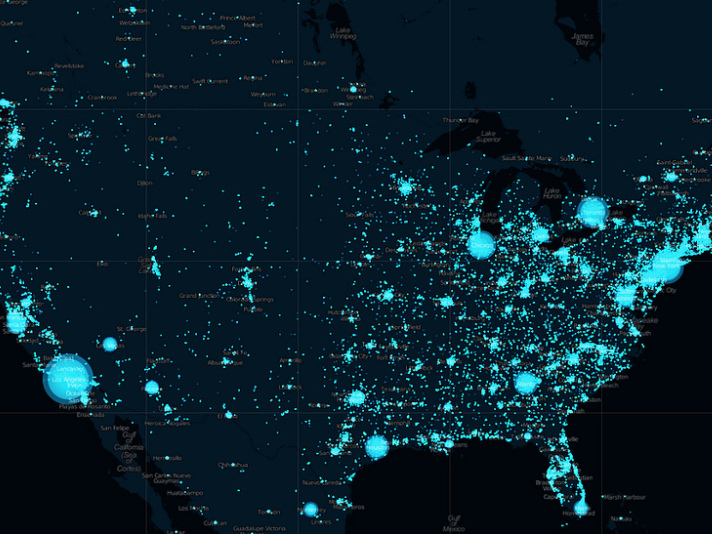 A visualization of how many tweets were sent on New Year's Eve 2010 in the United States. In March, Twitter will turn five years old. 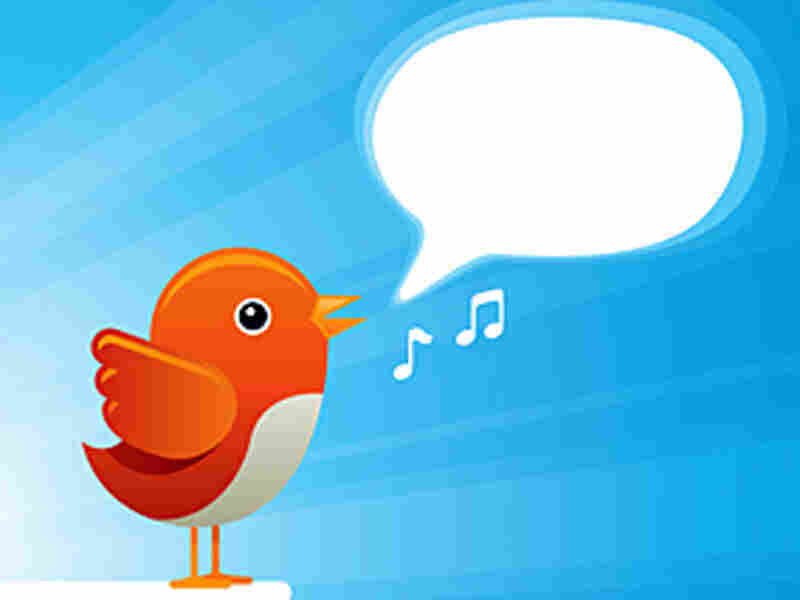 The microblogging service — which now has an estimated 200 million users worldwide — has been used by heads of state, astronauts in outer space and protesters in Iran, Egypt and Tunisia trying to disseminate information after news media crackdowns in their respective countries. 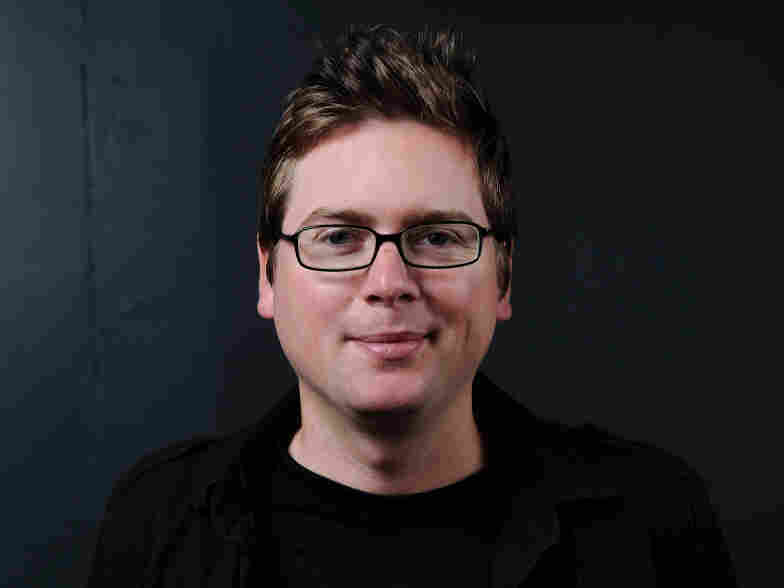 Twitter co-founder Biz Stone joins Fresh Air's Terry Gross on Wednesday for a wide-ranging discussion about the service, including how it was used recently in Egypt to help organize the revolution and how it has been used to spread democracy movements in other countries. "How a revolution comes to be is a mystery to me," he says. "It's important to credit the brave people that take chances to stand up to regimes. They're the star. What I like to think of services like Twitter and other services is that it's kind of a supporting role. We're there to facilitate and to foster and to accelerate those folks' missions." Biz Stone is the co-founder of Twitter. He tweets under the name @biz. Stone says he first realized that Twitter could be used as a global organizing tool in April 2008, when American graduate student James Buck was arrested while covering anti-government protests in Egypt. On his way to the police station, Buck tweeted one word — "arrested" — to his friends, who were able to call the consulate and Egyptian authorities and help secure his release. "That was one of the early eye-opening experiences for us that made us realize that this was not just something in the Bay Area for technical geeks to fool around with and to find out what [they're all] up to, but a global communications system that could be used for almost everything and anything," Stone says. During the Egyptian demonstrations last month, the Egyptian government cut off access to the Internet to try to disrupt the planned protests. Twitter worked with Google to create a system to allow Egyptians to call local phone numbers in Egypt and speak into the phone, which would then be translated into tweets. Twitter is not for sale. We don't have a shingle out on our front that says 'Twitter. For Sale.' We're not for sale and we haven't been. We're very, very interested in building an independent company. "There are always ways around shutting down technology. People do find ways," Stone says. "Together with Google we allowed for the phone lines to become a way for allowing people to get their voices out. It is important for us to remain a neutral technology provider, but we do believe that the open exchange of information is very important and can have a positive impact on the world. That's a mission that we subscribe to and that we are committed to." Stone says Twitter purposefully allows everyone access because information — both good and bad — should be allowed to flow freely. "Just speaking from a personal perspective, I'd rather have this bad stuff out there in public for other people to see and track and watch than for it to be happening and festering in secret, where people can't see it," he says. And, he says, he agrees with much of Secretary of State Hillary Clinton's speech Tuesday on the subject of Internet freedom. In the speech, she said: "Those who clamp down on Internet freedom may be able to hold back the full impact of their people's yearnings for a while, but not forever." "It almost sounds like a lot of what we say internally to our own employees," Stone says. "This idea that the open exchange of information can have a positive global impact is being proven over and over again around the world nearly on a daily basis — and for Secretary Clinton to recognize that, I think, is a huge step." Stone says people are relying more and more on technology like the Internet and mobile phones — and that instantaneous communication is making the world stronger. "We are now living in an age where there are 5 billion mobile phones. They all have SMS, they all are capable of accessing the Twitter network — all of these people getting connected and sharing their information," he says. "And that means that I can be waiting in line at the grocery store and I can take out my iPhone and scan the tweets and see what's happening halfway around the world, and I can put myself in the shoes of someone who is trying to overthrow a repressive regime, and I can suddenly have an empathy with that person that I would not otherwise necessarily have had. ... People all around the world are realizing that we're not just necessarily citizens of a particular state or a particular country, but citizens of the world. And this is a growing feeling, and I think that the Internet and social media tools are making the world a smaller place and allowing us to feel this empathy." "Sadly, we've seen this happen. We've seen our services shut down before, but it was shocking to see the entire Internet shut down [in Egypt]. We'd talked about this before privately amongst ourselves. You can shut down a service and yet people will find ways to communicate. But we joked amongst ourselves [that] you'd have to shut down the entire Internet, you'd have to shut down the entire mobile phone structure if you really wanted to stop people from communicating. And then suddenly, we have news that the Internet is being shut down. And that was just an amazing thing to think about. Because you're not just shutting down communication between people who may or may not be opposing your regime, you're shutting down everything — commerce, all communication among individuals, emergency communication, everything. That's just mind-blowing to me." "Obama tweeted that he had won the presidency. And that was just a mind-blowing thing because it was this historic presidential election, and here we had the man himself tweeting and acknowledging it. And for us, that was just a big acknowledgment of our work." "Our policy is one that is very, very pro-user in terms of protecting [user] privacy. That's a privacy document that we publish on our website before you sign up to Twitter, explaining that we want to protect your privacy and we will behave as advertised. When we're asked to give over private information about users — and in many cases, it's the law — our policy is, we give the user time to react to this request. If we've given 10 days to turn over this information, we immediately notify the user and we tell them, 'We've been asked by the law to hand over this information. We would like to give you this time to fight it on your own behalf and deny giving up this information.' That allows us to comply with the law and gives the user the ability to hold onto their privacy if they need to." "I came into work one day and I got down to my desk and I saw that my e-mail inbox was completely flooded. My phone voice mail was filled up, and it was all the same question from major news organizations around the world, and all of them essentially asking me, 'What was your role in the Moldovan revolts?' Part of me was tempted to say, 'Well, I wasn't happy with that regime so I went over here to this button I have here on the wall" ... but the truth of the matter is, I had to actually look up what was going on in Moldova. So there are things happening all around the world at any given point in time, and we find it incredibly meaningful work to foster this open exchange of information and to watch as people around the world do their thing and make the world a better place." "Twitter is not for sale. We don't have a shingle out on our front that says 'Twitter. For Sale.' We're not for sale and we haven't been. We're very, very interested in building an independent company. We've proven, beyond a doubt, that Twitter is an important communication medium used around the world. What we still have yet to prove is that we can build a very successful business on top of this. And for us, in addition to both of those things, we're adding a new layer of ambition for our team and that is that we want to have a positive global impact. We want to make a very successful business on top of this, and we want to have a lot of fun and enjoy our work and do meaningful work along the way." "We're not valued at $10 billion. That's just what people are writing in the newspapers, which unfortunately has the negative impact of my friends thinking I must have $10 billion." "I definitely spend way more time reading tweets than writing tweets. The first thing I do in the morning when I'm waking up is, I reach over and grab my iPhone and I just start scanning through tweets. What it does for me — I know right away that if something big is going on, in the world or in my area, someone will have tweeted about it. If nothing big is going on, at the very least I'm being reminded that people are up and doing things. For me, looking at tweets first thing in the morning is kind of like caffeine. It sort of makes me realize other co-workers are up, getting coffee, driving to work, etc. I better get out of bed. All through the day, I'm checking Twitter and seeing what people are saying about certain things. I'm clicking on the trends and the sidebar to figure out why this particular celebrity or phrase is in the trends right now. And then I'm tweeting maybe once a day, maybe every couple of days. I'm an infrequent tweeter. I'm more of a consumer of the information that's coursing through the system."